A profiled user presents their badge to the barcode reader. 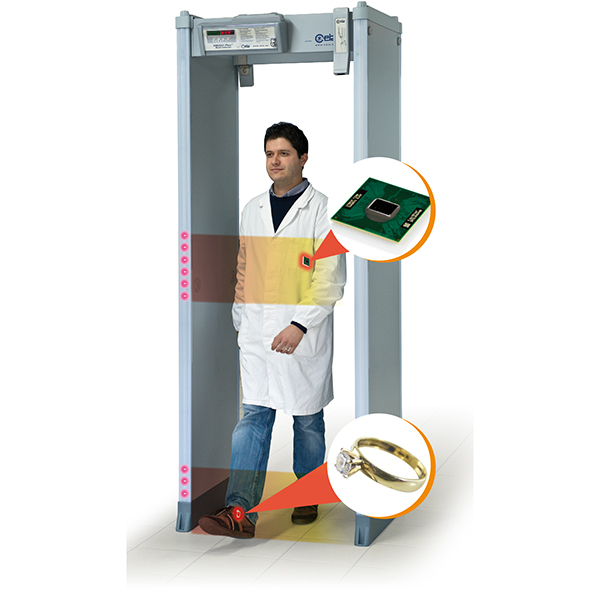 The user transits through the Metal Detector. 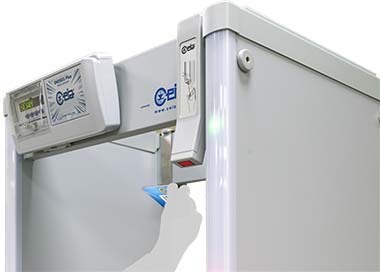 The Metal Detector ignores profiled non-removable metal objects and does not alarm. The user transits through the Metal Detector with a target object. The target is detected and the Metal Detector shows its position. 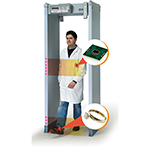 The superior uniformity of the electromagnetic field of the SMD601 Plus Metal Detector provides very consistent metal detection readings on every transit. This ground-breaking capability allows for individual creation of personal metallic signatures or metallic "profiles". These profiles can be taken while the individual may be wearing non-removable items, like dental works, medical implants, wedding rings and piercings, and are stored in the SMD601 Plus embedded data base. These personal profiles are used as a reference for every transit carried out by an individual, allowing detection of small targets while ignoring non-removable personal objects.